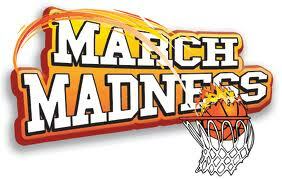 The Old Bro Network: "March Madness" - Old Bro style !! It's that time of year again ..... and it looks like BOTH the UCLA men's and women's basketball teams are heading to the big dance once again !! I'm sure that ALL of you Old Bro's out there will be cheering for our Bruins as they make their way into the NCAA tournament, and to make our voices heard even louder, the Old Bro Network would like to announce the addition of SEVEN new Old Bro's, bringing our updated roster count to 119. In addition we would like to pass along updated information for ONE Old Bro. UCLA sophomore power forward Reeves Nelson (right) is obviously stoked that more and more Old Bro's are joining the ranks. Reeves has truly been a stud on this year's Bruin team, and he joins me in congratulating our most recent "Stud of the Week" recipients, who for this update are Willy Reese, Nick Svetcoff, B.J. Violett, Mark Gordon, David Gordon, and two-time recipient Chuck Campbell. First up, we have our first "affiliate" member in the Old Bro Network. Jeff Rose (Zeta Eta #744) was initiated at UCSB prior to transferring down south to UCLA, where he learned that the Bruins have a MUCH better basketball history than the Gauchos. Smart move, Jeff. From the 800 zeta club, please welcome Steve Smith (EpSig 806), Mark Phillips (EpSig 826), and Russell Hirsch (EpSig 847). Finally, from the 1100 zeta regime, please welcome Aaron Wright (EpSig 1111). Also, Gary Horwitz (EpSig 846) sent in revised contact info. Gary was actually included in last week's update, but I made a grievous error and forgot to mention him by name. Consider that error now corrected, and Gary has agreed to NOT toss me into the Zeeb pool as punishment for my sins. All of the new and updated e-cards have been e-mailed out to everyone in order to update your own records. As usual, if you have contact info for any Old Bro's NOT currently on the roster, send it in and I'll get them hooked up.